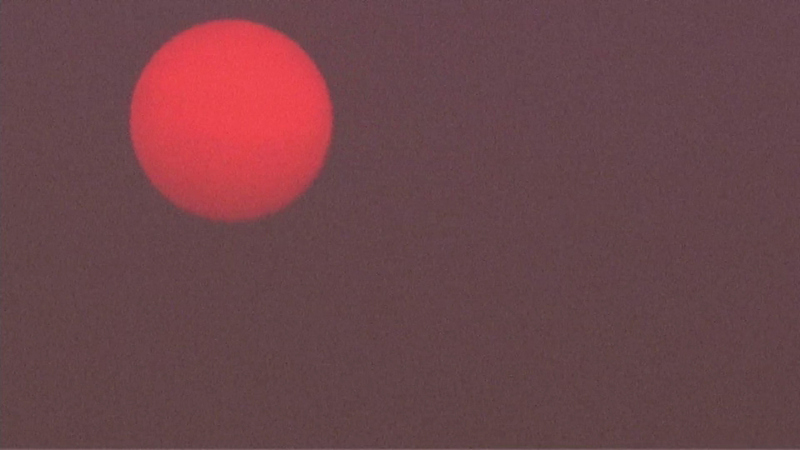 CHICAGO (WLS) -- Did you see the red sun floating in the hazy sky over Chicago this morning? The milky, hazy sky Tuesday is the result of smoke drifting thousands of miles from forest fires in Canada, says ABC7 Eyewitness News meteorologist Tracy Butler. The smoke causes certain wavelengths of light to be scattered while other wavelengths pass through, resulting in the red-hued moon and sun.